Hello everyone! Happy Monday! When I don't feel putting much thought into what I should wear, I usually go with my safe color combination: gray and black. This is such a sophisticated look! cute look <3 amazing blog, do you wanna follow each other? Very classy! Loving this high-low top! Love the shades of grey here! Safe colors are definitely the way to go when you cant think much on monday mornings! You are one classy lady! Great smart look! 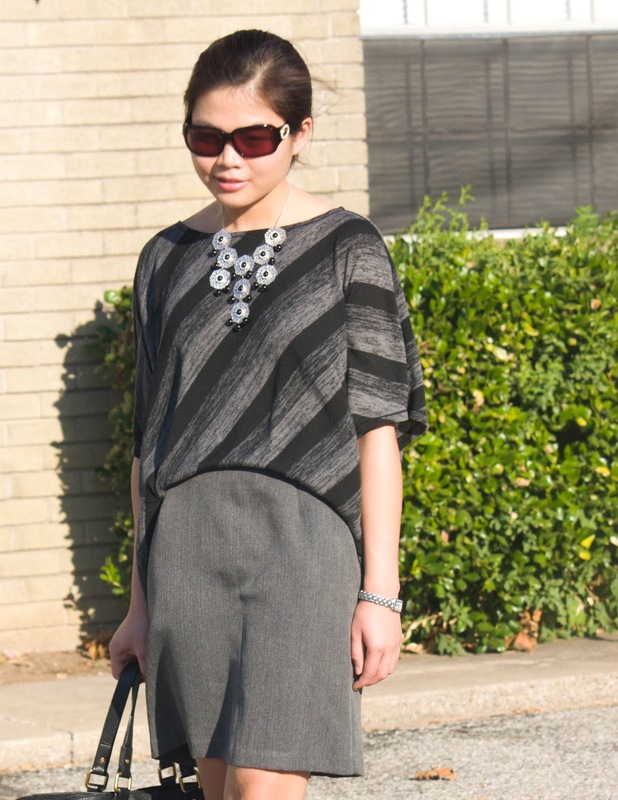 Grey and black is definitely an easy, effortless and classic combo. Looks very sophisticated! Gray + black are definitely my easiest fall-backs too! Love it! I love your outfit gray and black!So elegant! Your like '50 shades of grey'... but the outfit version. Hahah so appropriate. ahh I love your necklace! I love grey color! Lovely dress! Such a gool outfit. I love the combo of grey and black! Hi dear! Thank u so much for you lovely comment on my blog! You have a very beautiful and elegant look today. Follow you via GFc and Bloglovin. Hope u can follow me back! Thank you so much for stopping in my blog! nice look sweety,you look classy..
im your newest follower,followed me too! Great outfit; you look stunning. I'm your new follower via GFC now and would be glad if you followed back. grey and black is an awesome combo! i love grey! This is such a pretty look! Loving the color combo!